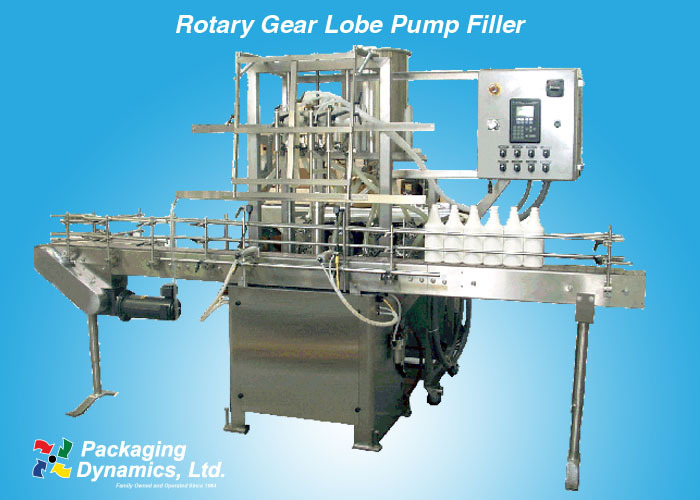 Rotary Gear/Lobe Pump Filler - Packaging Dynamics, Ltd. The Packaging Dynamics, Ltd. , Inline Rotary Pump Liquid Filler model SLA-RL was designed to deliver an accurate means for filling thin to very viscous products without overflowing or volume limitations. 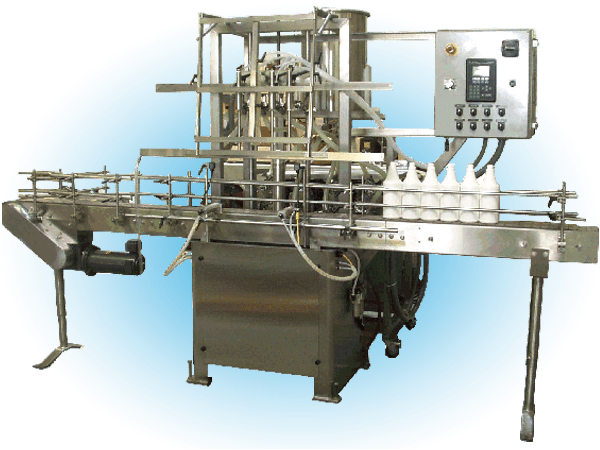 An individual servo motor coupled with a Gear or Lobe pump is mounted behind the machine frame and supplies product to each individual filling head. This allows for a large variety of container types to be filled, from 2 oz. to 5 gallon pails. Automatic Indexing allows bottles to enter and exit the fill area smoothly. An Allen Bradley PLC controlled and Panel View operator interface controls the independent nozzle pulse settings. Each filling head can be turned on or off and individually adjusted. With stainless steel construction, sanitary connections, Allen Bradley nema 4 electric’s, quick change nozzle handles and variable speed conveyor; the SLA-RL provides easy change over and cleanup between product runs. Custom layouts and line integration are also available.